Susan Smulyan is Professor, Department of American Studies, at Brown University and the Director of the John Nicholas Brown Center for Public Humanities and Cultural Heritage. She is the author of Selling Radio: The Commercialization of American Broadcasting and Popular Ideologies: Mass Culture at Mid-Century, and co-editor of Major Problems in American Popular Culture. Professor Smulyan is a cultural historian of the United States in the twentieth century, teaching courses in popular culture, advertising history, radio, digital scholarship, and American Studies and Public Humanities methods, directing nine dissertations, and serving as a reader on twenty five others. She held a Research Fellowship in the Scholars and Artists in Residence at the Australian National Film and Sound Archive, Canberra; is a member of the board of the Advertising Education Foundation; and served as Principal Investigator – International, Australia Research Council project, “Globalising the Magic System: a History of Advertising Industry Practices in Australia, 1959-1989.” She is currently interested in the relationship between the public arts and the public humanities. Smulyan, Susan Absence and the advertising historian. Journal of Historical Research in Marketing/Journal of Historical Research in Marketing. 2016; 8 (3) : 473-480.
smulyan, susan The Cultural Turn in U.S. Diplomatic History. Diplomatic History. 2009; 33 (3) : 539-542. Smulyan, Susan Live from Waikiki: Colonialism, Race, and Radio in Hawaii, 1934–1963. Historical Journal of Film, Radio and Television. 2007; 27 (1) : 63-75. Professor Smulyan is currently researching and writing about the connections between the public arts and the public humanities and what one approach can learn from the other. She remains interested in twentieth century U.S. cultural history in transnational perspective and in the history of radio. Susan Smulyan has received several research grants and fellowships, from Brown University, the Ford Foundation, Smithsonian Institution, Duke University Library, National Center for Preservation Technology and Training, the National Park Service, Department of the Interior, National Science Foundation, and the National Endowment for the Humanities. Coordinator, contract between Lemelson Center for the Study of Invention and Innovation, National Museum of American History, Smithsonian Institution, and The Center for Children and Technology, Educational Development Center, $75,000. Design and implement WWW site for middle and high school students and teachers. Six months, awarded 9/97. Principal Investigator, grant from the Educational Opportunity Fund, Smithsonian Institution, to Lemelson Center to fund Teacher Advisory Group for WWW project, $35,000. One year, awarded 9/97. Principal Investigator, "Discovering Science and Technology Through History," proposal of the Society for the History of Technology to the National Science Foundation, $358,000, awarded July, 1990 for two years; supplemental grant, $70,000, awarded August, 1992. Designed interdisciplinary curriculum for the social studies classroom. Wrote and edited eight units (100 activities) focusing on textiles. With Kathleen Franz, eds., Major Problems in American Popular Culture (New York: Houghton-Mifflin, 2011). 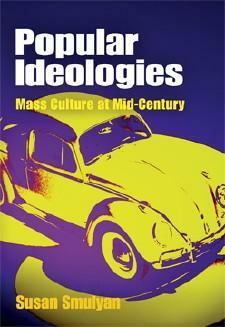 Popular Ideologies: Mass Culture at Mid-Century (Philadelphia, PA; University of Pennsylvania Press, 2007). Selling Radio: The Commercialization of American Broadcasting, 1920-1934 (Washington, D.C.: Smithsonian Institution Press, 1992). With David Goodman, “Portia Faces the World: Rewriting and Revoicing American Radio for an International Market,” in Jason Loviglio and Michele Hilmes, Radio’s New Wave: Global Sound in the Digital Era (NY: Routledge, 2013): 163-179. “The National Barn Dance, Early Broadcasting, and Radio Audiences” in Chad Berry, ed., The Hayloft Gang (Champaign, IL: University of Illinois Press, 2008): 119-129. “Now It Can Be Told: The Influence of the United States Occupation on Japanese Radio,” in Michele Hilmes and Jason Loviglio, eds. Radio Reader: Essays in the Cultural History of Radio (New York: Routledge, 2002): 301-317. “Absence and the Advertising Historian,” Special issue, The History of Australian Marketing: Local and Global Perspectives Journal of Historical Research in Marketing 8:3 (August 2016). “Perry in Japan: A Transnational, Digital and Pedagogical Project,” Transformations: The Journal of Inclusive Scholarship and Pedagogy XXII:1 (Spring 2011/Summer 2011): 69-79. “Live From Waikiki: Colonialism, Race, and Radio in Hawaii, 1934-1963,” The Historical Journal of Film, Radio, and Television 27:1 (March 2007). “Everyone a Reviewer? Problems and Possibilities in Hypertext Scholarship,” Forum on Hypertext Scholarship, American Quarterly 51 (June 1999): 263-268. Professor Smulyan has recently undertaken to revise and teach AMST 2540, "Methods in Public Humanities" dividing the course into two parts, "Managing Public Humanities" and "Tools for Public Humanities." 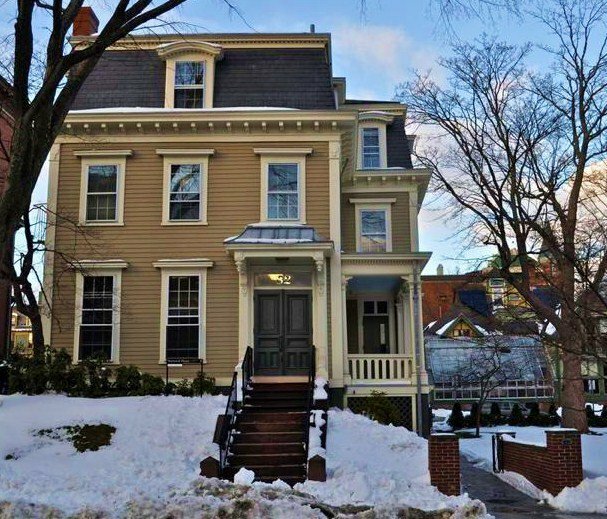 In many ways, this course builds on the second year course for American Studies PhD students, "Methods in American Studies" which Professor Smulyan taught for many years. In that course, PhD students examined the discipline of American Studies through an innovative historical approach (pairing classic works with revisionist ones; using the ASA program as a text; and asking students to lead discussions on ideas in American Studies). The course also presented an extensive reading list on pedagogical theory; served as a workshop for student written course syllabi; and hosted guest speakers on the state of academic publishing and granting organizations as well as the challenges facing American academia. Professor Smulyan also teaches large lecture courses ("American Popular Culture"and "American Advertising: History and Consequences") as well as seminars in radio history and transnational American popular culture. She has team-taught courses on Digital Scholarship, taking up how new media has changed teaching, research, and the public presentation of scholarly work and interrogating how on-line practices have blurred the lines among these categories.